In our last “Malawi News” post we talked about what kids in Malawi do for fun and what kind of sports they play during and after school. This is just one aspect of the lives of the local children. While the children learn a lot from study and play, their home lives also have a huge impact on their experiences. 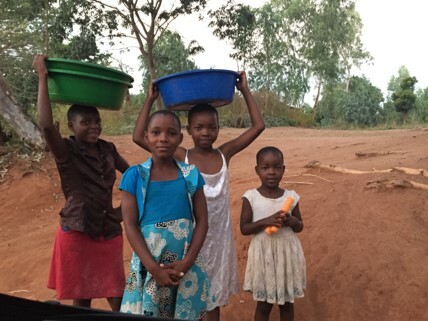 In Malawi it is common to see a person walking with a bucket on their head. Since water supply contracts are expensive, many people in the village will draw water from the common well closest to their house. In most cases, this happens twice a day, in the early morning and evening, to have enough water for the day. Men and women of all ages are very good at carrying things on their heads, and even small children between 2 and 3 years of age can be seen carrying small containers of water on their heads. Many people cook with firewood and charcoal, however charcoal is expensive. Elementary school age children often collect bundles of tree branches, and carry them home on their heads. Children will also travel into town to buy these bundles for a reasonable price, however the trip can take up to one hour each way. It is clear that many parents depend on the efforts of children, and that they are mobilized to reduce the overall expenses of the family. One evening, while walking around the neighborhood, I saw a girl in the garden with a Mutinko, or a stick used when cooking. She put some twigs in the stove to make a fire and began preparing a meal. Most girls prepare meals for the family around high school age, but this girl was younger. 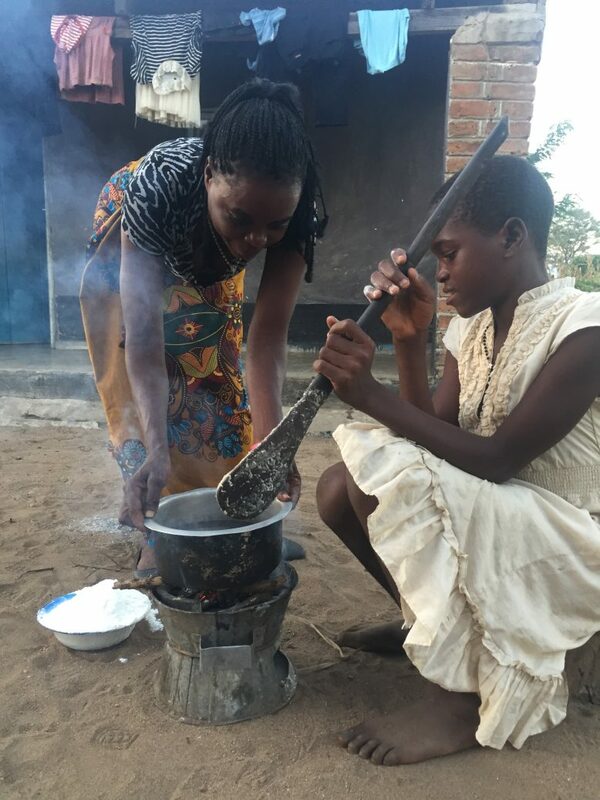 As she waited for the fire to get stronger, she began preparing corn flour in another container, and told me about herself. Her name is Tamara, a 12 year old in the fifth grade. Her mom came out and told me that Tamara’s father had passed away, and that she lives with her uncle and five other children. I asked if I could take a photo of her so that Japanese people could know about Malawi, and she gladly cooperated. 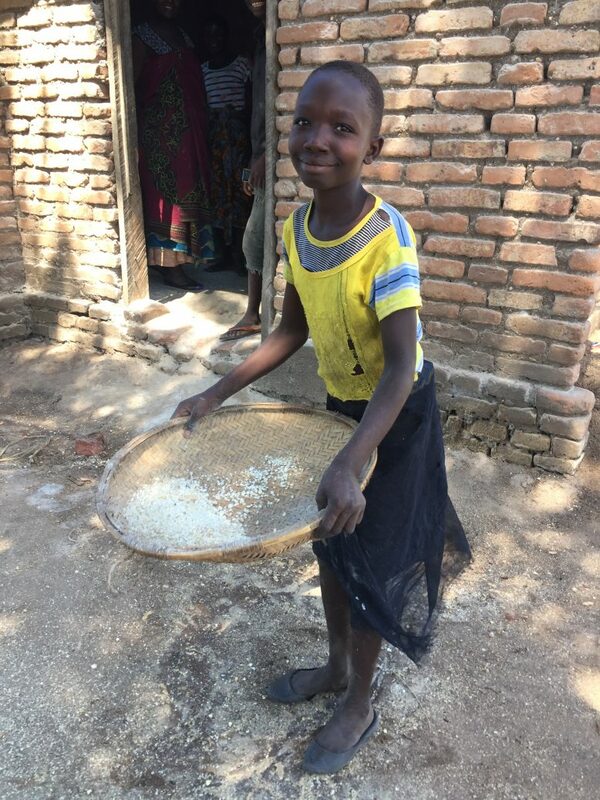 In Malawi, everyone is responsible for helping out at home starting from a young age, and each member of the family is indispensable. Many of these children are unable to go to school because they lack the resources to do so. I think one of the best ways to support these children is through funding school lunches.